The Micromax 40E1107 HD LED TV is a 39-inch television set that comes with a DLED display. It offers a wide viewing angle, that is 178 degrees. This means that everyone in the room gets a clear view. Not only are the images clear, but they come with stunning colours and clarity. The contrast ratio here is 3000:1 which provides depth. On the connectivity front, it comes with a USB port which allows you to share content from other devices such as mobiles, laptops, or tablets. For PC there is a dedicated input port.you can also enjoy high definition gaming by attaching the console using the HDMI port. The Micromax 40E1107 HD LED TV consumes a maximum of 310 AC voltage. Along with the TV comes an installation guide and a remote. At first sight, you will love the design as the frame and the TV both are slim and the design is very minimal. It adds style to your interiors immediately. Due to the compact size you can mount it on the wall or place it anywhere easily. Overall, this is a good choice for your family’s entertainment or for business purposes as well. 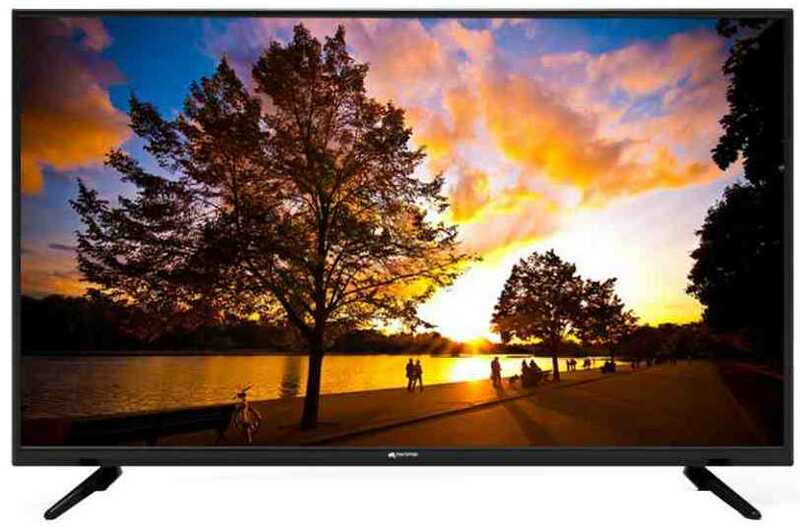 The Micromax 40E1107 HD LED TV is priced at INR 29000. Micromax 40E1107HD 39 Inch HD Ready LED TV full specs and reviews as of Apr 2019. Buy it here!